Leather Seats, Back-Up Camera, Keyless Start. All Wheel Drive, Aluminum Wheels, Keyless Entry, Steering Wheel Controls, Child Safety Locks. RADIO: UCONNECT 8.4 Nav-Capable! See Dealer for Details, (Registration Required), Premium 7" Driver Info Display Cluster, For Details Visit DriveUconnect.com, Harman Radio Manufacturer, GPS Antenna Input, Rear View Auto Dim Mirror w/Microphone, Uconnect Access, 8.4" Touchscreen Display, TRANSMISSION: 9-SPEED 9HP48 AUTOMATIC (STD), ENGINE: 3.6L V6 24V VVT (STD). 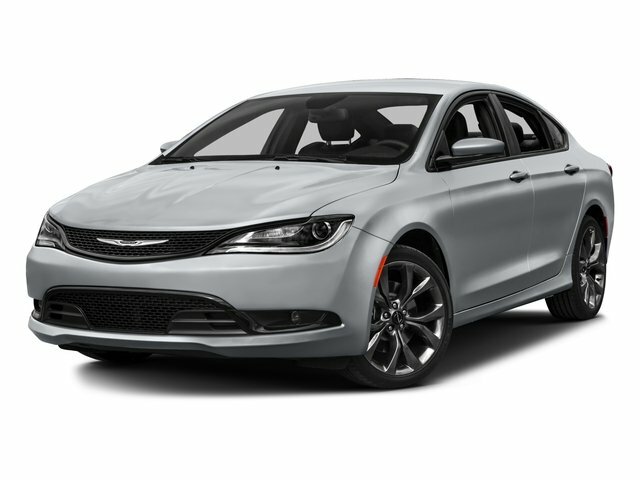 Chrysler S with Granite Crystal Metallic Clearcoat exterior and Black interior features a V6 Cylinder Engine with 295 HP at 6350 RPM*. "Steering is extremely precise and the handling is better than most in this class." -KBB.com. Great Gas Mileage: 29 MPG Hwy. Reduced from $18,997. This 200 is priced $3,700 below NADA Retail.